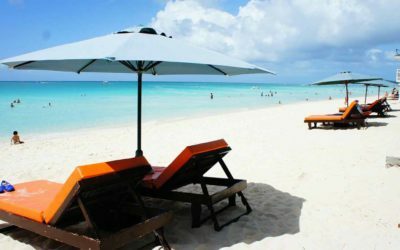 You know how the digital nomad life looks like all play and no work? Yep, that’s not how it is in real life. 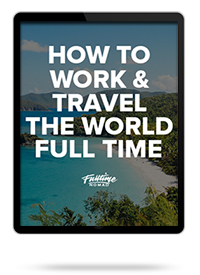 In real life, most digital nomads (at least the ones who run successful businesses) work pretty hard – no matter where in the world they are. 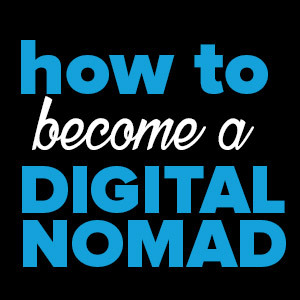 Now, productivity for digital nomads can be a tricky thing. 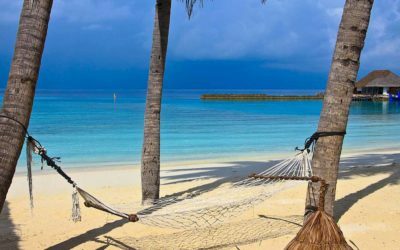 When you’re in a new place – it’s so easy to get distracted and even easier to forget all about work and dive into play… after all you did take up this lifestyle for the travel didn’t you? True… but if you don’t do the work, this dream lifestyle will come to an end prettttty quick. So, after four years of managing a business on the road, Radhika & I have learnt a thing or two about being productive while we travel and getting work done so we can make room for play. Today, I want to share my remote work productivity advice with you. 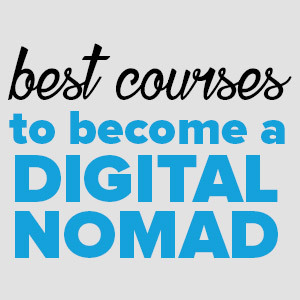 The number one tip I give newbie digital nomads is to always create and stick to a schedule. When you’re in a new place, routine and schedule are the last things you want to think about. But without any structure to you days, you’re going to lose track of time and fall behind with work very quickly. 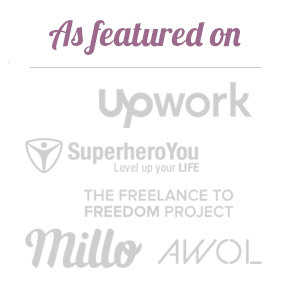 Create a schedule to keep yourself organised and to stay on track with your freelance client work. Sounds boring, but it works and is especially useful on the days when your brain feels a little bit foggy and you don’t know what you should work on. It doesn’t have to be anything complicated but simply list the tasks you will be working on each day, and how much time you plan to spend on each. It’s a simple habit but it can be a total game-changer. If you’re not familiar with productivity tools, simply use a spreadsheet on Google Sheets or Excel to create a schedule and routine for your working week. If you’d rather a tool, you can also use Asana or Trello to manage your specific tasks for each project or client. I’ve used both Asana and Trello. Both are great but at the moment, my preference is Asana. Carrying on from the previous point – designate the days and hours that you plan to work and stick to it. Set your work hours and force yourself to be on time. By doing this, when the time comes, you will be mentally prepared to work. Don’t just decide what to work on and when to work, when you wake up. This can be dangerous because it will be easy to have an excuse to sleep in or skip work altogether. I am a morning person, so I usually have set work hours each morning. This is when I am most productive so I make the most of my clear brain to get work done so I have time to do other stuff later. Of course the beauty of creating your own schedule is that you can take time off when you want to. But, for the most part if you stick to fixed working hours – you will find it much easier to get into the rhythm of work. Find a dedicated space, free of distractions to do the bulk of your work. 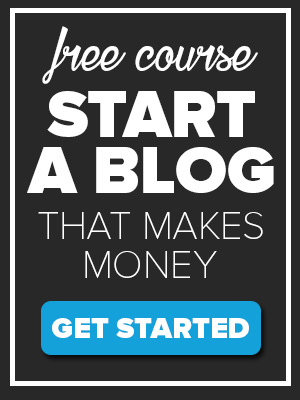 Having this will put you in the right frame of mind to work productively. If you plan to work from a coworking space, then you don’t need a dedicated space as they have such setups. But if you are working from home you need to try and create a space that is for work only. Ideally a desk or table in a quiet part of the house. Some people like to work in the lounge room or in the kitchen, and that’s fine, whatever works for you, as long as you can be productive. However, if you’re living with other people, common areas like the lounge room can be difficult to work from, especially if you tend to easily get distracted. If this is the case, then you should consider finding a coworking space or cafe with solid wifi. Are you seeing a theme here? The key to getting work done is to cultivate habits that allow you to focus and get rid of distractions. To do good quality work, you have to try and minimise distractions as much as possible. It’s as simple as that. Technology is, of course our biggest distraction and to beat it, you can use even more tech. Ha! If you struggle to stay focused and are easily distracted by Facebook, Youtube, or other online sites then you need to block them out, at least when you’re working. Many of us find it difficult to pull ourselves away from such apps. Thankfully there’s software you can use to help you stay focused. 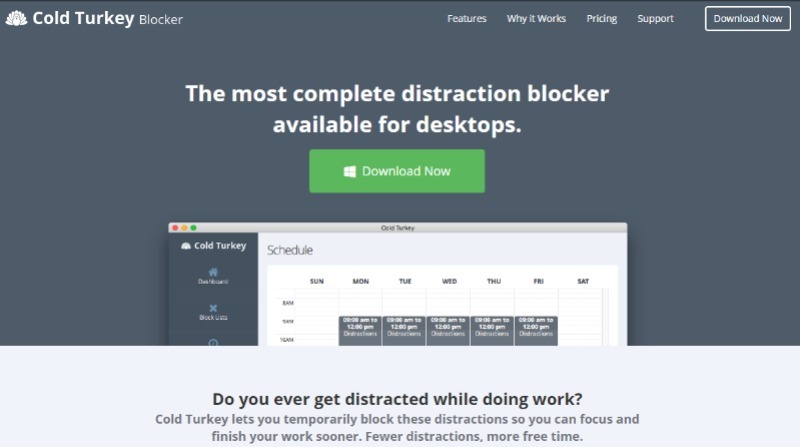 Try are apps like cold turkey, freedom, or a simple Google extension like pomodoro timer that will allow you to block websites while you work. Also, put your phone on silent or keep it away from where you are working because all those Instagram notifications on your phone… they sure can be distracting! Another way you can use tech to stay focused is using music to block out noise. Try and find music with lyrics that are not distracting. For instance, I prefer something instrumental. You can also try concentration music. You can find it on YouTube, Spotify. You could even try a websit like Coffitivity that recreates the ambient sounds of a cafe to boost your creativity and help you work better. There’s also Rainy Cafe which is basically the same as coffitivity but you can also add rain sounds. If you’re one of those people who can only work in cafes when it’s raining, this is perfect for you. Figure out what time of day it is when you are the most productive and then schedule the most difficult or important tasks then. As I mentioned before, I personally struggle with tasks that require a lot of brainpower in the afternoon. So I always do my most important and difficult tasks first thing in the morning. As my brain power starts to fade, I move on to tasks that are less analytical or creative. It’s a bit of a trial and error so be mindful of your own peaks and caps in productivity and figure out a work schedule based off it. Tracking your time isn’t just useful for billing work. Whether you’re doing client work or working on your own projects, there is so much value in tracking your time. It’s not only helpful for managing client work and billing the right hours but it also helps you keep yourself accountable for the work that you’re doing. So, if at the end of the day you see you spent 5 hours on one blog post and 2 hours on client work, you know where your time is going! This will also help you manage your schedule better and do the work that truly matters. There’s a bunch of different software apps that will help you time track the different tasks and projects that you work on during the day. My pick is Toggl. It’s very simple to use, it integrates with Asana and Google Docs and has some good reporting where you see a summary by day, week, month etc so it gives you a very good idea of where your time is really going. Apart from tracking my time, probably the single biggest thing that helps me be more productive is using the Pomodoro technique. Pomodoro is a time management technique where you work in 25 minute intervals with short breaks between. The way I do it is choose one task to focus on then work solid on that task and ONLY that task without leaving my desk until the timer goes off. Then I’ll take a 3-5 minute break, have a walk or do some light stretching. Then I get back to my desk and go again. Also to make it more interesting I like to count my Pomodoros to see how many blocks of work I can complete in one day. The idea is that by focusing on one task at hand, you avoid multitasking and by taking breaks you energise yourself throughout the day. Both these things really improve your productivity. To get this up and running all you need is a 25 minute countdown timer of some sort. 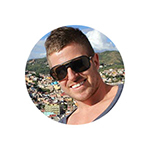 I use a Chrome extension on my computer called Timer by Kuba Szulaczkowski. Pomodoro Timer extension by Xiaowei is also a good one. Toggl also has a built-in Pomodoro timer that you can flick on. You can even use a phone or stopwatch if you like. Just do whatever works for you but try it. It’s a total game changer, I promise. If you want to learn more about the Pomodoro technique, this post on Lifehacker is excellent. Have you ever found yourself staring at your computer screen – wondering what the hell you were working on and not realising how much time has gone by? This is what happens to me when I don’t take breaks. I *think* it’s a good idea to just keep going but after a little while, my mind is frazzled and I can’t really focus. Breaks are crucial to stay productive and keep the momentum going without wasting time. Now whether or not you use the Pomodoro Technique, make sure you take regular breaks from your work and computer screen. Get up walk around and shake out your hands. Do some stretches. We all know how bad it is to sit in one place for 8 hours at a time. Go for a walk around the block and see what’s happening in the street. 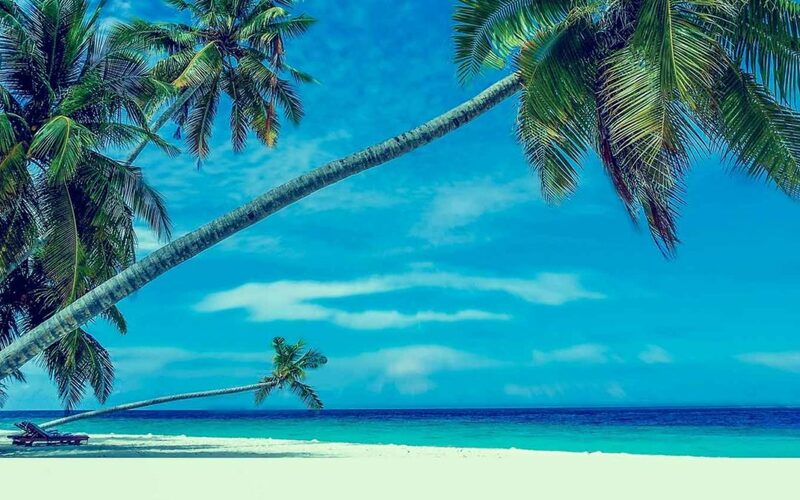 Make it like a mini travel break. You’ll feel inspired again. Consciously think about how you can mix up your work environment. I’ve become more conscious of this lately, and it’s because I’m seeing better results with my work and having less of those burnout moments. Go work from a cafe for half a day or get out of the house and go use a coworking space if you’re not already. When we are home in Australia, I often take my laptop and just go work from a park by the beach. The fresh air works wonders! Mixing it up makes work feel less monotonous and it also helps avoid cabin fever especially if you only work from home. And my final tip, a bit on the woo woo side but hey… it works. Make sure you take time to look around and be grateful that you have the opportunity to do what you are doing. You are getting to work around the world. Nothing boosts productivity and motivation like a positive and happy mind. So practice gratitude. So there you have it. 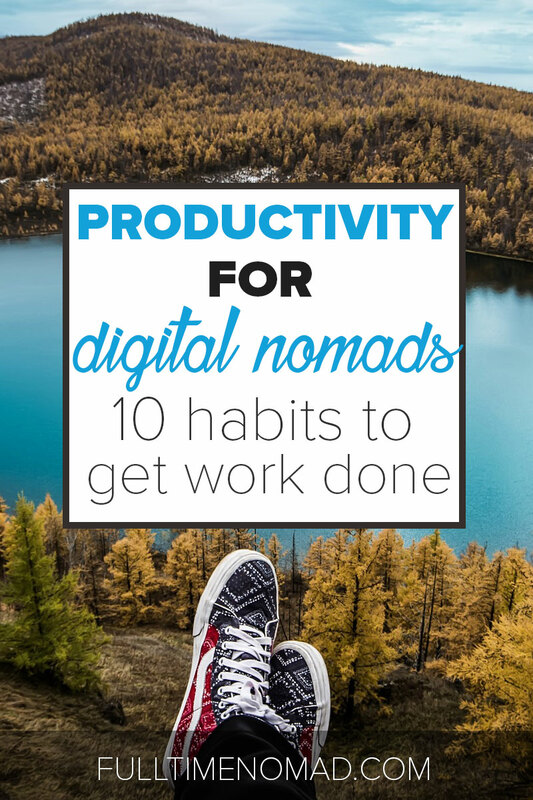 Some of my best hacks on productivity for digital nomads while living and working abroad. Some things that work for me, might not work for you and that’s fine. It’s just a bit of trial and error to find your own system. BUT, the important thing is to have a system. Start developing good habits and you will have no problems making sure that you’re getting your work done in a productive manner. And most importantly…. by being productive, being organised, getting work done as efficiently as possible you are in the end freeing up the time to enjoy yourself too. 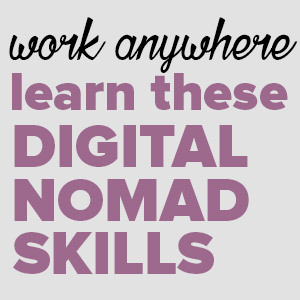 And for me, that is what being a digital nomad is really about! Got a productivity tip that works for you? Share it in the comments. I’d love to know. I’ve never heard of the Pomodoro technique. Sounds interesting! I’ve been trying really hard to stay productive while working from home. I have my own home office, I set work hours, I take breaks and shut off, and I try to time block my tasks. Honestly, I really need to change up my work environment more often! I get really lonely and have been considering looking into meeting more people who work from home so we can get together to work. Highly recommend the Pomodoro technique, Cole. It’s especially helpful when you have a lot to do and just can’t afford to waste time. I love your other productivity techniques too – breaks and clear work hours are so important. Are there any coworking spaces or good cafes near you where you could go work from sometimes? We tend to go stir crazy if we’re at home all the time so changing up our environment definitely helps to lift productivity. 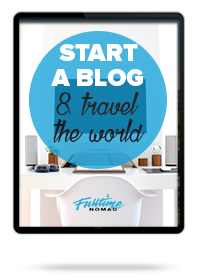 These are all great ideas, for nomads and those who just work at home! Another tip I saw on a blog recently was to travel slow. If you spend more time in one location, you feel less rushed to see everything as quickly as possible and can work with more balance and focus. I don’t know from experience, but sounds like it would help! Thanks Robyn! 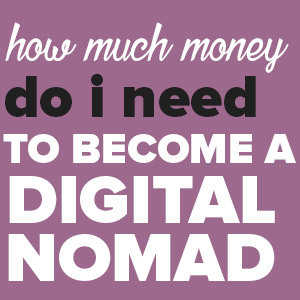 🙂 Yes, it’s the number one tip we give to new nomads. We spend 3-6 months in each place we go to. 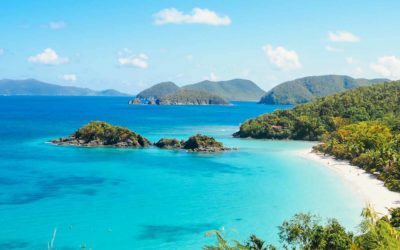 We travel reaaaallly slow 😉 Travel is important to us but we don’t sacrifice business and productivity for it so slow travel is definitely the way to make sure we get work done and enjoy a new place.